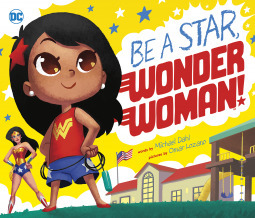 Be a Star, Wonder Woman!, written by Michael Dahl and vibrantly illustrated by Omar Lozano, shows readers that there’s quite a bit in common between a young girl starting school and everyone’s favorite Amazonian princess. While this little girl is encouraging two new friends to share, Wonder Woman is restoring peace in the city. Just as the girl must be brave as she attempts to conquer a rope ladder, Wonder Woman must do the same when battling one of her worst enemies. And both the little girl and Wonder Woman need to know that it’s okay to admit when they need help. After all, even the most courageous hero needs a friend now and then. This little girl is learning that she has everything she needs to be a hero, just like Wonder Woman! This awesome book is great for Wonder Woman fans (like myself) and those looking for an inspirational book for children–girls or boys–starting school. I not only plan to add this book to my school library, but I also have every intention of purchasing a copy for my niece who starts kindergarten in the fall. Be a Star, Wonder Woman! emphasizes some of the most important things that a child (or adult) should strive to be: prepared, kind, brave, honest, strong, and heroic. It doesn’t really take much to exhibit these traits. Not all of us can be Wonder Woman, but everyone can be a hero in her/his own way. Blizzard by John Rocco is a nominee for the 2016-17 South Carolina Picture Book Award. 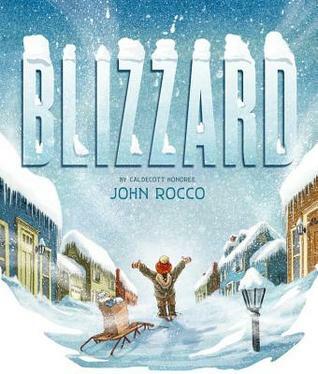 In Blizzard, author/illustrator John Rocco tells the tale of his experiences in the 1978 blizzard that hit New England. His hometown in Rhode Island got over 50 inches of snow, and the snowplows didn’t arrive for a week! The snow was exciting at first, but it soon became worrisome. John’s family and their neighbors were running out of food, so John, who had read all about Arctic survival, knew he had to do something. So he strapped on some snowshoes, grabbed his sled, and did what needed to be done. As a nominee for the South Carolina Picture Book Award, Blizzard may open up a whole new world to some children in the state. It’s rare to get more than a few inches of snow the entire winter. A blizzard, like the one presented in this book, is not something most children here experience, so it could be interesting for them to think about how they would fare in similar circumstances. The outstanding illustrations, when paired with accessible, easy-to-understand text, makes Blizzard a perfect choice for winter-time and weather-study read-alouds. It will definitely be a hit when there’s a potential snow day in the forecast! After a rather interesting episode at school, Leo gains the notice of Warren Miller, probably the coolest guy at school. Warren invites Leo to hang out after school…but Leo has to prove himself worthy of being in Warren’s crowd. Even though Leo is hesitant about what is asked of him, he’s willing to do just about anything to be popular. Leo couldn’t know, though, that his actions would lead to more trouble than even his powerful imagination could conjure. One day, Warren and his crew try to convince Leo to have a little “fun” with Jack Pepper, his neighbor’s dog. Leo knows what’s going on is wrong, and he doesn’t really want to participate. What happens next changes everything Leo feels about himself and what the people in town think of him. Leo takes credit for saving Jack Pepper’s life (even though it was really the other way around), and now everyone thinks he’s some kind of hero. Only Leo, Warren and friends, and little Jack Pepper know the truth…but none of them are talking. Leo is enjoying his new status as a town hero, but part of him knows that he’s living a lie. One day, however, something happens that puts Leo’s vision of himself as a hero to the test. A catastrophic event hits the town, and Jack Pepper is put in real danger. Leo knows it’s up to him to save this little dog, but what can one boy do in a truly perilous situation? Will Leo finally step up and be the hero that Jack Pepper needs? Will Leo–or anyone else–ever reveal what actually happened when he “saved” Jack Pepper to begin with? And will Leo ever discover what it really means to be a hero? Answer these questions and many more when you read Hero by Sarah Lean. Hero is a good book for illustrating the importance of being true to oneself and standing up for what’s right…even when it’s not easy. This book also emphasizes the value of all types of friendships–those with kids, adults, and even animals. As the story progresses, Leo begins to realize that real friends are loyal, even when he doesn’t deserve it, and he needs to do whatever is necessary to prove his loyalty as well. Sometimes, that simply means being upfront and honest about his mistakes and doing whatever he can to make things right. 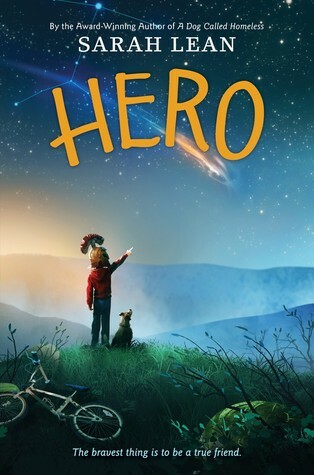 I think Hero is a good fit for most elementary and middle grade readers. It deals with issues like bullying, honesty, popularity, imagination, bravery, friendship, and, of course, caring for animals. I’m sure this book will be a big hit in my own school library. Twelve-year-old Ryan doesn’t have much in common with his older brother, Tanner. Ryan likes to spend his time sleeping and playing video games. Tanner enjoys outdoorsy stuff like camping, fishing, and kayaking. Now, Tanner has decided that it’s time for Ryan to enjoy those things, too. Ryan and Tanner set out down the river in their big rubber kayak, and things are okay at first. Soon, though, the going gets rough. Tanner is seriously injured, and it’s up to Ryan to take care of his older brother and find some way to get help. Tanner is the one who’s good at all of this stuff, but Ryan must find a way to overcome his doubts and fears so that he can save his brother. But how can he do this? Being good at playing video games hasn’t prepared him to survive in the woods…or has it? Will Ryan find a way to use his video game skills to save his brother’s life and his own? Find out for yourself when you read Wild River by P.J. Petersen. I think Wild River is a great book for readers who like camping, hiking, fishing, and other outdoor activities. (I do not, but I did kind of enjoy this book.) This book is full of adventure and suspense. 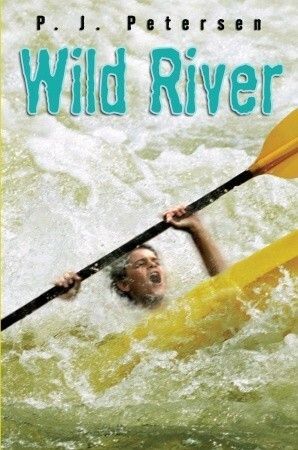 If you enjoy books like Hatchet by Gary Paulsen, you’ll definitely want to read Wild River. Notice: It might not be a bad idea to read the entire Percy Jackson & the Olympians series before starting this book. Trust me! Shortly after Jason, Piper, and Leo arrive at Camp Half-Blood, they are sent on a quest–and we all know how wonderful those usually turn out, don’t we? They must stop something truly evil from coming to life and destroying Olympus and the world as they (and we) know it. This could prove to be a bit difficult, especially since Jason has a touch of amnesia, Piper and Leo are hiding some pretty important details, and all of the gods of Olympus have gone silent. To sum up, things are bad, and they’re about to get much, much worse. 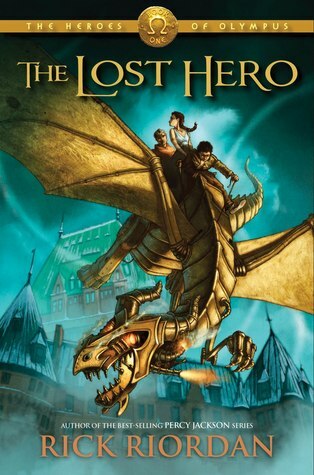 Just like the Percy Jackson and the Olympians series, The Lost Hero (and the rest of the Heroes of Olympus series, I hope) is great for upper elementary, middle, and high school readers. Adults will enjoy it, too! For more information on Rick Riordan and his wonderful books, visit http://www.rickriordan.com/home.aspx. Things begin to change for Newt at the Big Game. While standing outside the stadium (because he was pushed out of the bleachers) watching Chris score the winning touchdown, Newt sees something awful. He witnesses his big brother get injured. Chris is not moving. As Chris is sent to the hospital, and Newt is once again all but forgotten, things seem more bleak than ever. His big brother is in a coma, and there’s nothing he can do about it. To keep Newt’s mind off of his troubles, his best friends, Cecil and J.J. convince him to go trick-or-treating for Halloween. There’s just one problem–he doesn’t have a costume. What’s a kid to do? Well, with the help of an active imagination and some of his brother’s old clothes, Newt comes up with a brilliant costume idea. He is Captain Nobody, hero of the downtrodden. The minute Newt puts on the costume, especially the mask he created, he feels more confident, less invisible. He feels like he can do anything; really be a hero. As Captain Nobody, Newt is able to finally be seen. He helps people around him, and he even saves lives! But can Captain Nobody save the one person he cares about the most? 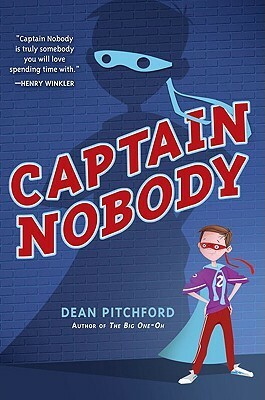 Read Captain Nobody by Dean Pitchford to find out! I really identified with the character of Newton in this book, and I think a lot of young readers will as well. Nearly everyone feels invisible at some point, and, sometimes, pretending to be someone else–like we do on Halloween–helps us to finally feel like we are noticed. Imagine if that feeling could last. That’s what Newt is experiencing in Captain Nobody, and the rush of finally being noticed is a bit much for him to handle at times. I think this book is a perfect fit for young (and older) readers who tend to be shy and apart from the crowd. Since that still kind of describes me, I thoroughly enjoyed this book. I hope you will, too! To learn more about Captain Nobody, visit the official site at http://www.captainnobody.com/. It’s pretty cool.